Our ranger Michael Briggs has just sent these rather fab photos of the Banty Barn panel we’ve installed on the Buttertubs Road – it’s the first item from the project that many visitors will come across when the arrive in upper Swaledale so we hope people find it informative and that it inspires them to find out more about the project. I’ve recently noticed the new interpretation panel for Myers Bottom Barn at the entrance to Rukin’s car park in Keld and while informative it seems an odd siting as no clue is given to the barn’s location. 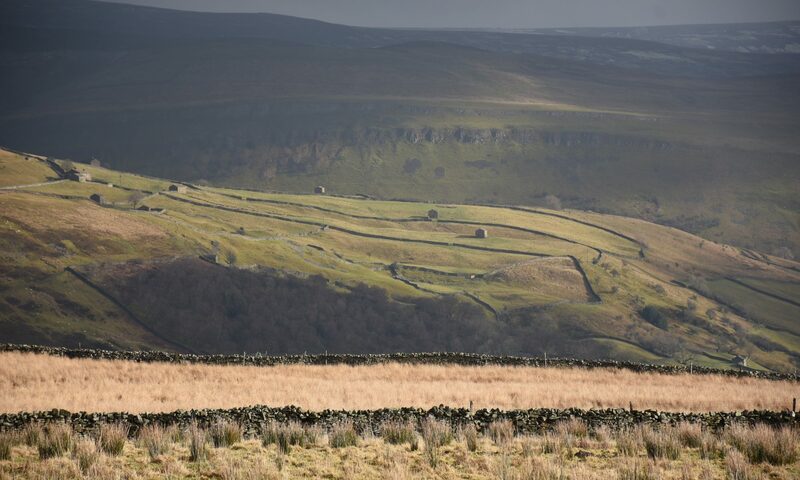 As most visitors/walkers to Keld head out along Keld Lane either to East Gill Force or round Kisdon Hill, passing the actual barn, could the interpretation panel not have been situated along the lane in front of the barn? A sign stating ‘No Access to Barn’ could be fitted to the nearby field gate. Hi Richard – thanks for this. It’s a good point but we took the decision not to ‘clutter’ the landscape with interpretation panels as we get lots of feedback from visitors who hate it. The panel actually tells people where the barn is in the first sentence as follows: “You will see this fine cowhouse shortly after leaving Keld beside the track leading to Muker” and we hoped that along with the photo people would be able to find it. We’re sorry if you felt it wasn’t clear enough. Hello Karen, thank you for your reply. I recently passed the restored hog house above Healaugh in Swaledale at grid ref SE 014 995 and the heather-covered roof is now green with moss on the north side and slowly starting to slide off, exposing the rafters. This is only one of two buildings in Swaledale I know with a heather-covered roof, the other being a nearby barn at grid ref SE 013 997. As it proudly displays a YDNPA plaque, ‘Best Building Design Awards 2010 Winner – Historic Restoration’, is there any chance that the roof might be inspected and repaired?